I recently read an article on the state of African publishing and it got me thinking about local publishing houses. As a kid growing up in Nigeria it wasn't very easy to find books by Nigerians (or other Africans) in the few bookshops I used to visit. Ok! I exaggerate - you could find textbooks for school, but fiction not as much. I honestly grew up believing Nigeria didn't have a reading culture. When I got older and I got interested in development, I realised that Nigeria's publishing industry (like most industries in Nigeria) suffered in the 1980s, when structural adjustment programmes were introduced. Maybe that's why I grew up finding it easier to find American and European novels than Nigerian ones and also probably why I didn't really get into African literature until I was in my late-teens - I didn't really have access to it. Fast forward to today and now I can find books in Nigeria by not only Nigerians, but other Africans. 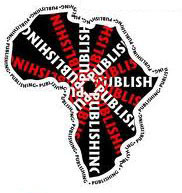 The fact is Africa's publishing industry is growing but there is still a lot to be done - growth and development of indigenous publishing houses, promotion of books, and reviving reading and book culture. I always focus on positivity so in posts to come I'm going to focus on those publishing houses, like Cassava Republic and Kachifo Limited in Nigeria and Kwani? and Storymoja Publishers in Kenya, that are reviving Africa's publishing industry and making books accessible to book lovers like me. Looking forward to see which publishers you find and highlight. It is sad how unavailable these books often are isn't it?